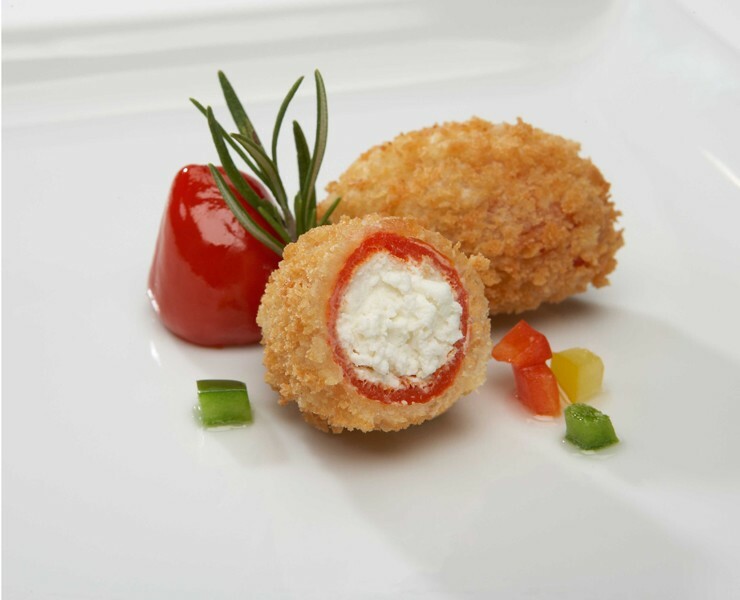 A sweet, vibrant Peppadew pepper, stuffed with a creamy blend of goat and cream cheeses, rolled in an aromatic medley of parmesan cheese and herbed bread crumbs. Cook from the frozen state. Deep fry at 350 degrees F for 4 - 6 minutes. An exotic blend of wild mushrooms in aged Sherry, tossed with fresh parsley and rich Fontina cheese, hand folded in a unique savory butter puff pastry fold.